Aquaman is just one month away from its worldwide release but fans are eagerly waiting for the Atlantian superhero. Well despite being from Atlantis he seems to have a kind of disliking for his own kingdom as it was seen during the events of Justice League movie, last year. And there may be questions regarding this in the minds of curious fans that why did Arthur Curry abandon his own home, Atlantis? Well, now the question seems to have been answered, in a way, thanks to the Aquaman’s official movie book titled, Arthur’s Guide to Atlantis, which is an in-cannon collection made by Aquaman/Arthur himself when he was 13 years old. You can take a glimpse at it from the Twitter post below. From the words written above in the Guide Book, it looks like Vulko will play a crucial role in bringing Arthur back to Atlantis. And there, he will fight alongside Mera against King Orm to stop him. Actor William Dafoe, who plays Vulko, also recently spoke about his role in the film, and some others details too. 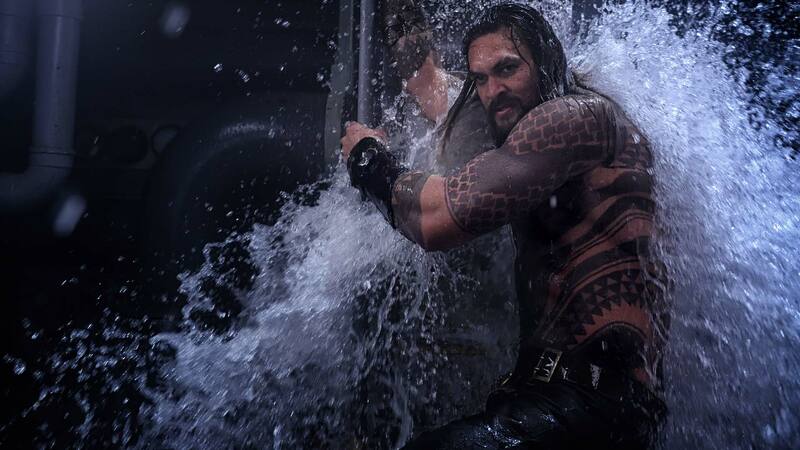 Directed by James Wan and distributed by Warner Bros. Pictures, Aquaman also stars actress Amber Heard as Mera, Patrick Wilson as Ocean Master, Nicole Kidman as Aquaman’s mother Atlanna, and Yahya Abdul-Mateen II as Black Manta. The movie will release on December 21st, 2018. However, in the UK it will be arriving sooner, on December 14th, 2018. Pingback: BoxOffice: Disney’s Ralph Breaks The Internet collects $22MN on Friday!